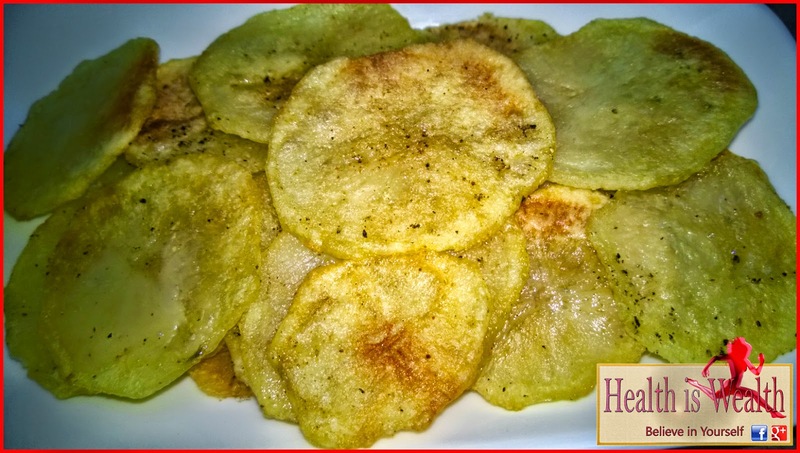 A tasty and easy recipe for homemade baked potato chips, a healthier option to traditional fried potato chips. Probably one of the best snacks ever. Preheat oven to 450 F. Cut the potatoes in 1/8-inch thick round slices. 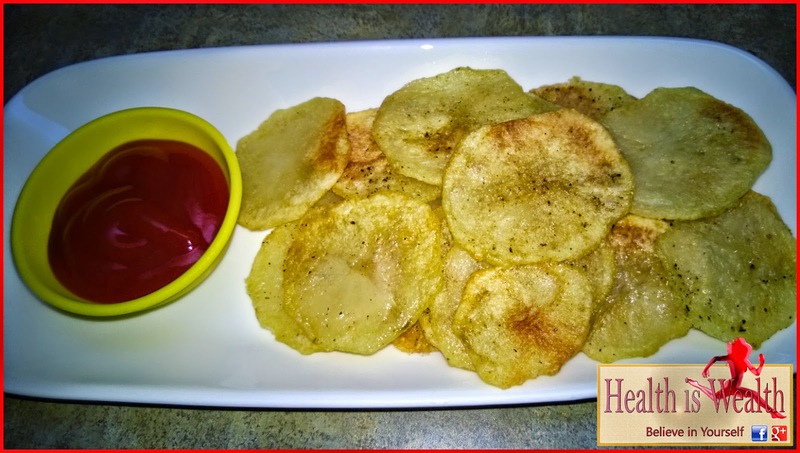 In a pot of boiling water cook the potato slices for 3-5 minute. Drain well and combine with oil, salt, pepper and spices (garlic, oregano, basil, etc) in a large bowl. 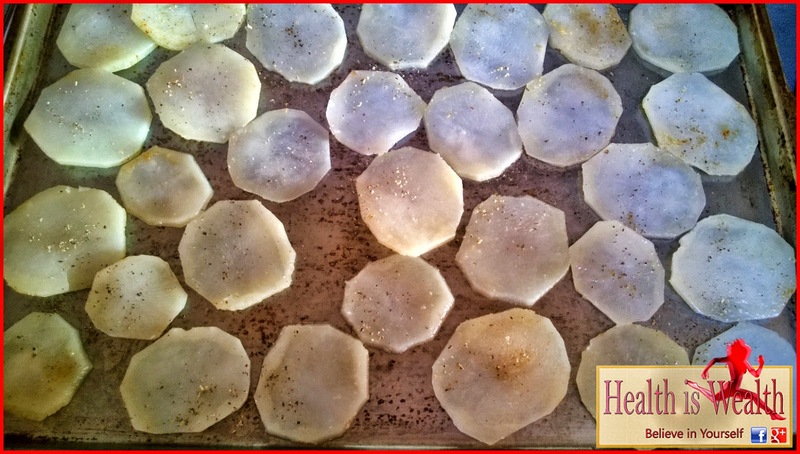 Place potato slices on baking sheet in one layer. Bake for about 15 minutes until crisp and golden brown. Gently remove the chips and place on a cooling rack or parchment paper; let them cool for few minutes before serving. Enjoy!